Guided Fishing Trips for Salmon, Sturgeon and Steelhead — Bent Rods Guiding & Fishing Co.
Life is supposed to be fun! Let’s go fishing! 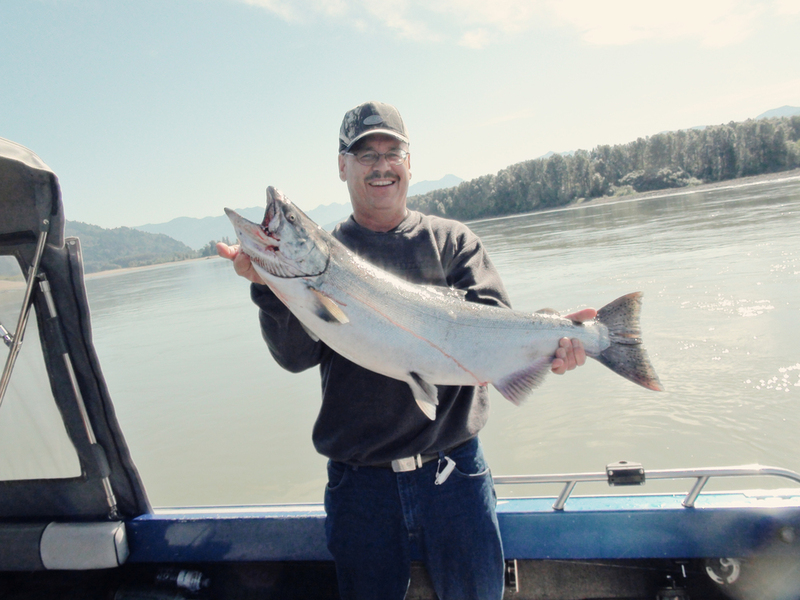 Easy going and passionate about fishing, Rod provides memorable guided fishing trips for Sturgeon, Salmon & Steelhead in Chilliwack, British Columbia. Bent Rods Guiding & Fishing Co. offers a wide variety of angling options. Our goal is to provide you with a relaxing and rewarding fishing trip that will exceed expectations, and keep you coming back year after year! We strive to improve and expand the ethical angling skills and knowledge of both experienced and novice anglers from around the world! For assistance in choosing the ideal time of year to book your B.C. Fishing Trip of a Lifetime- please see the Fraser River Fishing Calendar (SEE BELOW) . We are committed to providing you with a personal and specialized service, ensuring an ultimate fishing trip. We are a family business, and it is important that every angling adventure is given proper care and attention to detail. We will gladly assist you in making accommodation decisions and bookings, and for all fishing trips 3 days or more- we offer complimentary airport pickup. We take all bookings by email or telephone, and your fishing guide will oversee your booking time and trip details. Fishing Trip prices are listed below. Please see links to the left for more detailed information about fishing trip options and prices. Please take a minute to fill out this form, and we will get back to you by email with the answers to all of your questions! The more specific you can be, the more quickly we can get your trip locked & loaded! no worries! Just say so. We are happy to help guide you toward the ideal fishing trip for you! ...that's kind of what we do.